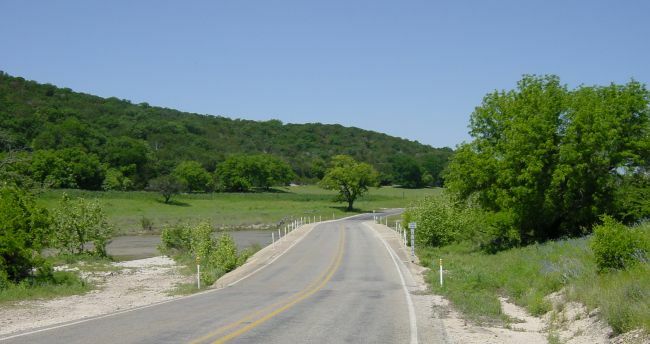 FM 1340 is short Farm-to-Market road that follows the Guadalupe River valley at the headwaters of the Guadalupe River. In contrast to the rocky terrian that surrounds the area, this small valley has accumulated enough soil to allow for pastures and decent tree growth. There are numerous small retreats along this route, mostly owned by churches, but I also saw a Boy Scout camp. The real distinguishing feature of FM 1340 is not natural, however. 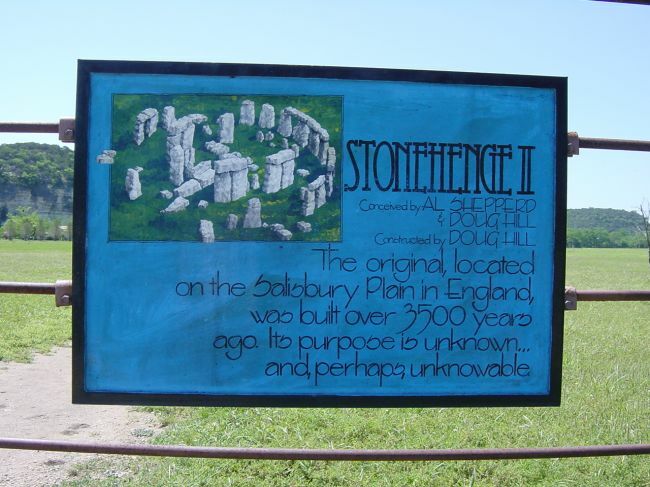 Stonehenge Texas is located on this route. See the photos below. (click for medium resolution 79k) Along FM 1340, just west of Hunt, Texas. 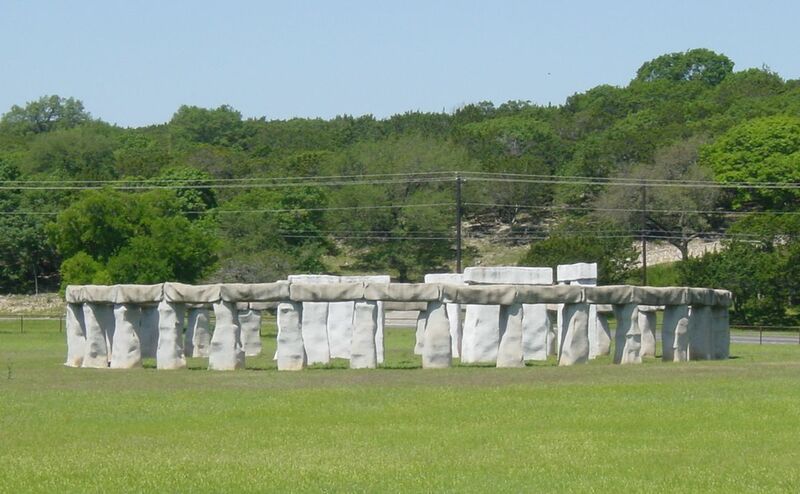 (click for medium resolution 100k, high resolution 135k) How's this for a roadside oddity: Stonehenge in Texas! 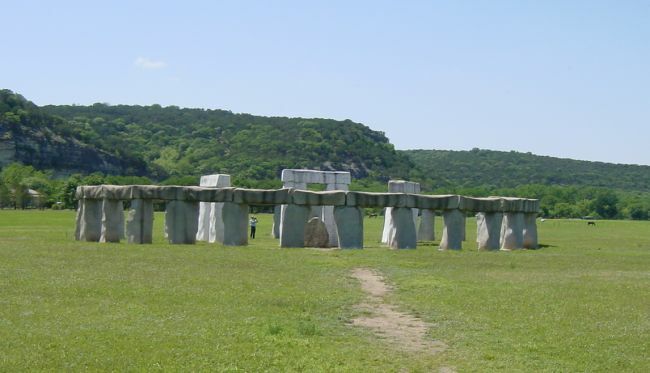 (Another view of Stonehenge Texas. 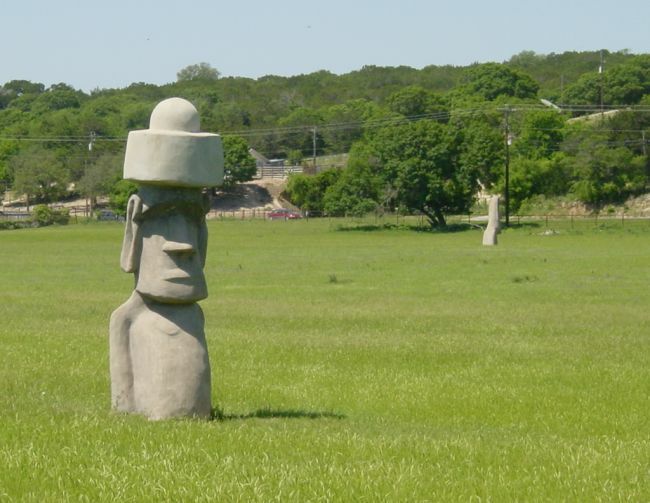 Some visitors from Easter Island can be spotted near the Stonehenge. There are several low water crossings along this section. 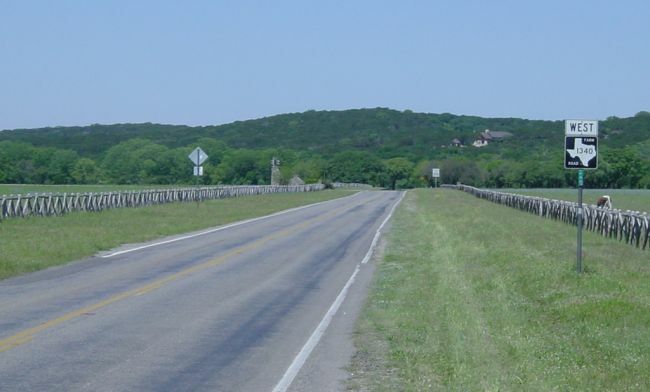 As with most of central Texas, rivers and streams are dry or have minimal flow nearly all the time, so low water crossings are commonly used. 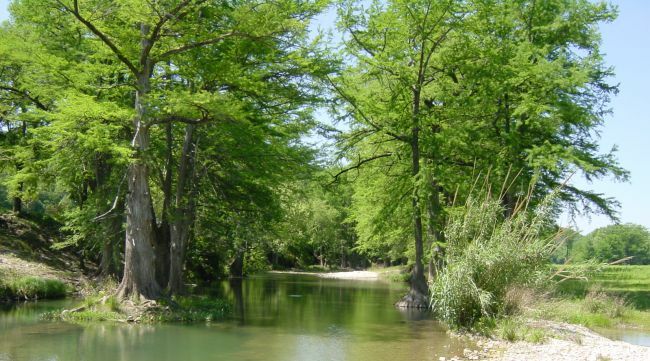 A view of the Guadalupe River. On April 28, 2001, there was minimal amount of water flow. Since this is very close to the headwaters of the river, significant flow occurs only after heavy rains. A view of a pasture from FM 1340. The fields were looking very good after spring rains when I took these photos on April 28, 2001. It won't be long before this landscape is burned up by summer heat and drought. (click for medium resolution 55k) This is the typical terrain near the western terminus of FM 1340. 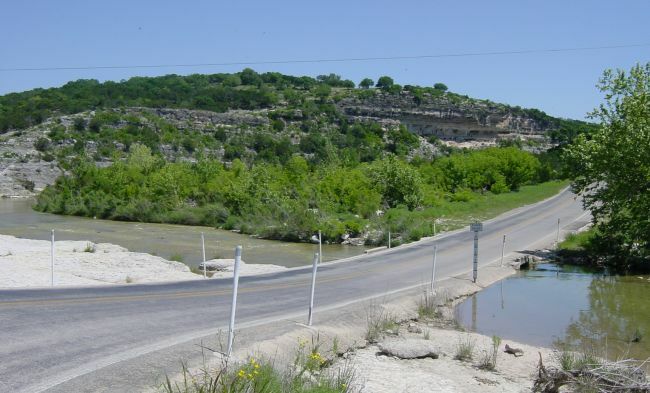 The roadway is no longer in the Guadalupe River Valley and is now in the rocky brush terrain.